The last regular passenger service from Rawtenstall for 25 years. 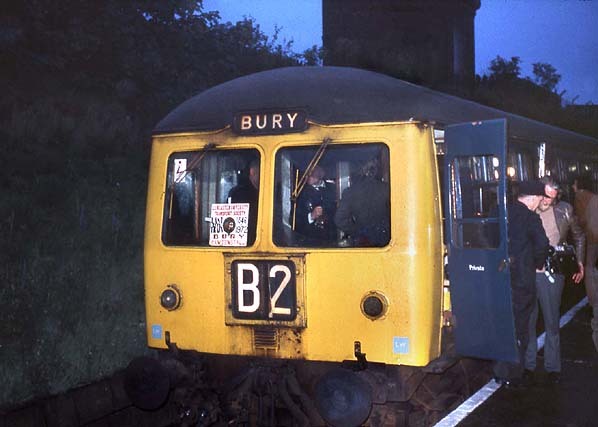 The Class 105 Cravens DMU had just arrived at Bolton Bury Street station on the evening of 3rd June 1972. The train had been filled with people who imagined that they would never again get the opportunity to travel by train between Bury and Rawtenstall.